No, it’s not a big deal, but it’s something we look forward to. It’s a way to bond as a family in this go-go-go world. Hubs looks forward to coming home from work, and we kick off the weekend with a mini celebration. It’s little traditions like this that kids will remember when they grow up, so make some memories! Do whatever works for your family. Celebrate! A couple of Christmases ago, I got this gift for my younger daughter on a whim. It was a cookbook for kids, and it came with colorful silicone cupcake liners. The recipes are for everything from breakfast to desserts. My daughter has really taken to it, and it has helped her “broaden her food horizons”, so to speak (i.e. She is a picky eater.). 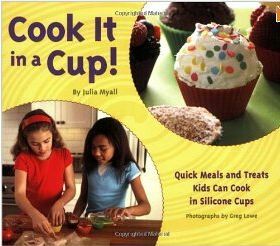 The book is Cook It In A Cup! by Julia Myall. My daughter has found some new confidence, knowing that she can cook dinner for the whole family – and that even her big sister will like it. If you have a picky eater in your house, I highly recommend this cookbook/kit! I will do just about anything, if it means that my kids will learn something. This includes making up songs to teach them things. if you lose it you will holler! Like I said, I will go to any lengths to teach my kids something. You may laugh, but this little song came in handy when they grew old enough to start learning about percentages, too. Some mornings, it’s all you can do to get the kids out the door with clean teeth, right? Maybe this little trick will help your mornings go a little smoother. When my girls were small, I realized that the thing making us late most mornings was the Great Dressing Ordeal. They didn’t know what they wanted to wear, but it certainly wasn’t anything I had picked out for them. The more nervous I got about the time, the more stubborn they became about getting dressed. In the morning, it was her job to “slip into her person” and come to the table for breakfast. Presto! No more arguing! No more whining! 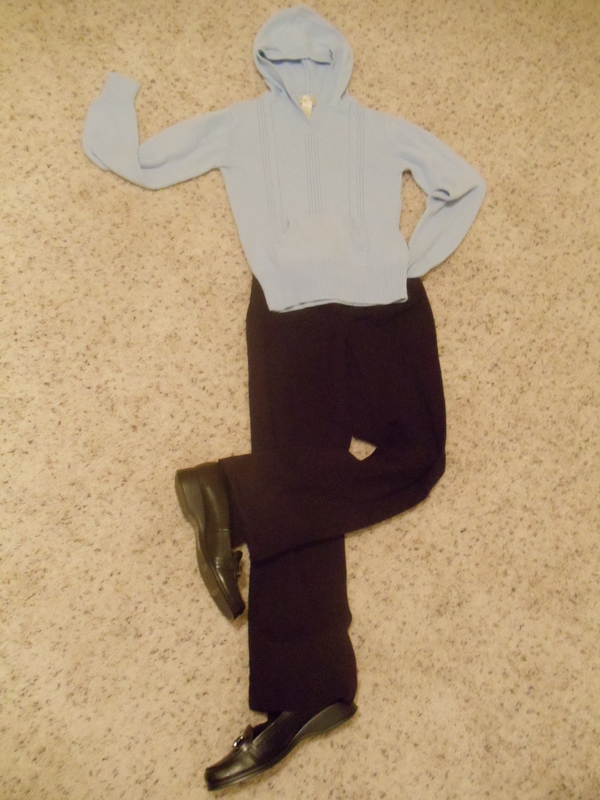 If you find yourself battling over what your child wants to wear, may I make a suggestion? Relax. They won’t enter high school dressed as a superhero.